Last week a group of five U.S. senators wrote a letter to the Department of Health and Human Services Secretary Tom Price, urging him to speed up the process of issuing federal guidelines for hair sample drug testing so that the Department of Transportation could start approving the drug testing method for truck drivers. The group of four Republicans and one Democrat is headed by Senator John Thune (R-S.D. ), chairman of the Commerce, Science and Transportation Committee, and includes John Boozman (R.-AR), Deb Fischer (R.-NE), Ron Johnson (R.-WI) and Joe Manchin (D.-WV.). In the letter, they remind HHS of the the FAST Act highway bill that was passed in December, 2015 and required the HHS to issue guidelines for hair testing within one year. 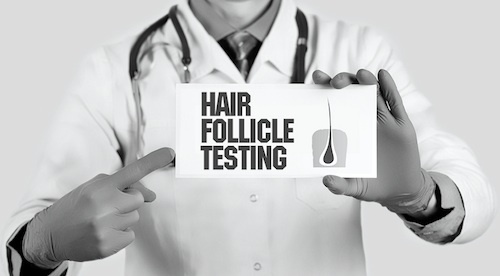 The letter indicates that the deadline has passed without any guidelines and this inaction of HHS has prevented the DOT from allowing hair testing to be a federally approved testing method. “Development of these standards will pave the way for more employers to use this testing method and could potentially identify a greater number of safety-sensitive employees who violate federal drug testing regulations,” the letter states. Last month, seven members of the House of Representatives also sent a letter to the Federal Motor Carrier Safety Administration on behalf of Knight Transportation, J.B. Hunt Transport, Maverick USA, Dupre Logistics, KLLM Transport, Crete Carrier Corp., Shaffer Trucking, Werner Enterprises, FFE Transportation, US Xpress, Cargo Transporters, HUB Group and Schneider National. The letter requested the agency to permit the group of trucking companies to begin drug testing by hair sample exclusively. 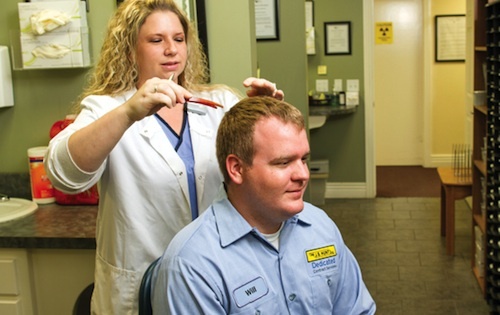 The National Transportation Safety Board has also recommended that the DOT implement hair testing as the new federal standard for drug testing commercial drivers.